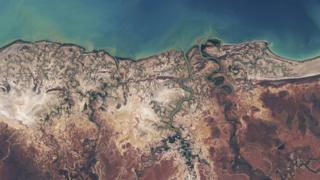 Take a look at these incredible aerial shots of Earth taken from space. New BBC One series called Earth From Space is looking into how our planet is changing by using satellite technology to view it from space. 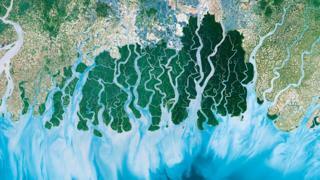 This gorgeous image is of the Sundarbans, the largest river delta in the world, which is split across India and Bangladesh. The researchers learnt more about how different habitats are changing, and affecting the animals that live there. 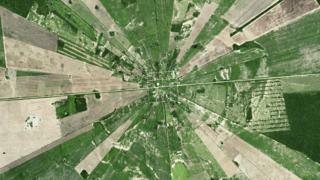 This photo shows how land is split up into strips for farmers in Bolivia. 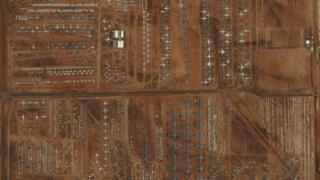 This incredible shot is of the Davis-Monthan Air Force Base in Arizona, USA, also known as ‘The Boneyard’. It is the largest aircraft storage facility in the world. The low humidity, small amount of rain and high altitude mean that over 4,000 aircraft can be kept here with limited damage. 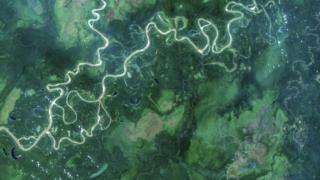 This mesmerising photo is of lots of rivers winding their way through the Amazon jungle in Peru, South America. 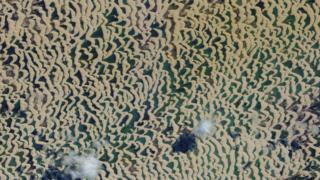 Nope, this isn't a magic eye puzzle, it's a picture of Brazil's Lencois Maranhenses National Park. These wiggly sandy dunes and pools are the hunting grounds for the stripy Paninga turtle. 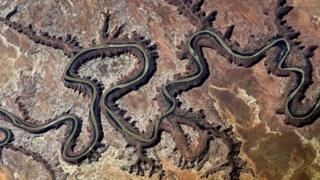 This giant snake-like formation is actually the Green River in Utah, USA. It has made a 300m deep canyon through the dry landscape. These beautiful green swirls are actually microscopic phytoplankton blooms off the coast of the Albert River Delta in Queensland, Australia. 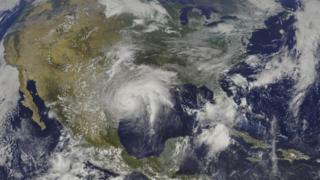 This incredible satellite view shows the Gulf of Mexico, in North America. Between June and November, the Atlantic hurricane season starts, and threatens the people and animals who make their home on this coastline. Ever wondered what the Earth looks like from space?